The West Coast of Scotland is known for its rugged landscape and mountains. But how did these mountains form? 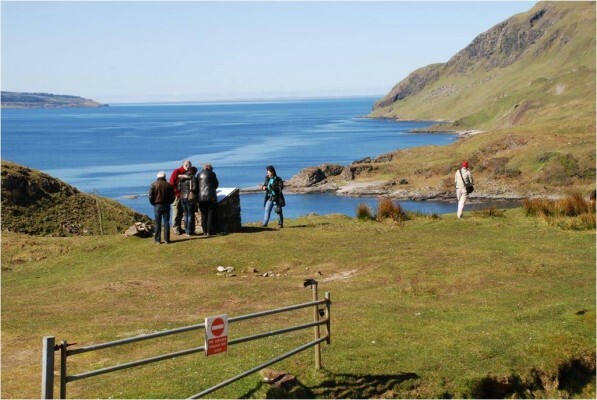 On this unique 5-day Geotour, based in Lochaber Geopark, you will find the answer. Join our team, a local expert geologist and a UK Mountain Leader, to learn about the 3 billion years it took to shape the Highlands. 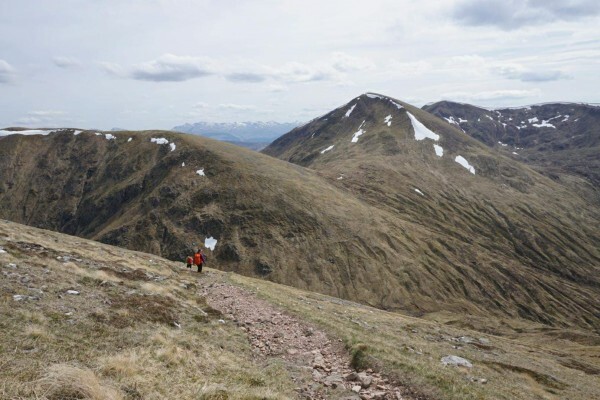 The tour is 5 days long and will show you an array of rock-types and geological relationships, while undertaking exciting mountain walks, including the ascent of Ben Nevis. Guaranteed weather. Please read over our weather page to make sure you have everything you need for walking in Scottish mountain weather! A hint: it can be cold, wet, windy, sunny and dry, all in one summer day! Pre-existing fitness and competence. This trip is for regular walkers, who can go up mountain terrain which may not have paths. Rucksack, boots, suitable outdoor clothing, food and drink, whistle etc… Please see the clothing and equipment page for information. Each day you will be walking for a minimum of 3 hours and up to a maximum of 7 hours. A day walking in the Northern Highland Terrane, north of the Great Glen fault. The rocks of this terrane were deposited in a shallow sea nearly 1 billion years ago and have been subjected to three different phases of mountain building. On the mountains beside Loch Lochy you can see small-scale folding in the schist. Heading up the mountains the views of the Great Glen, the longest Glen in Scotland, and the route of the Caledonian Canal, are fantastic. The Great Glen follows a major fault that forms a ‘terrane boundary’, separating two regions of the Earth’s crust with very different geological histories. The rocks of the Grampian Terrane were deposited after those of the Northern Highland Terrane and consist of a bigger variety of rock types, lain down in seas of varying depth over a long period, from 850 to 500 million years ago. Subjected to only one phase of mountain building, they have dramatic large-scale folding structures on hillsides. Glen Nevis, a beautiful U-shaped valley, and the surrounding mountains, are part of this terrane. We will head up Sgurr a Mhaim to see large-scale folding structures. A short journey to the end of the Glen, in the people carrier, the next stop will be Scotland’s second highest waterfall, An Steall. On the path to the falls you will see evidence not only of folding structures but also more recent, geomorphological features. 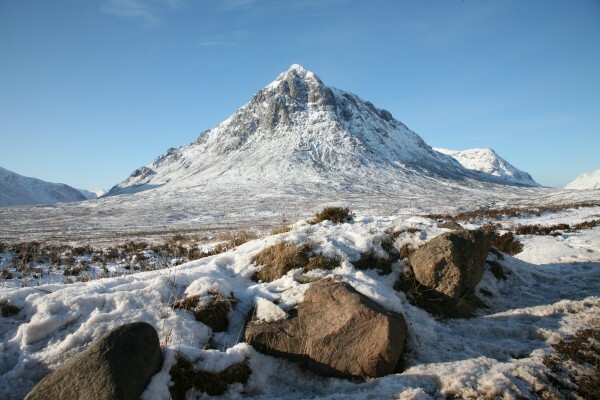 Day 3: Glen Coe is known world-wide for its dramatic scenery and dark history. An ancient volcanic caldera that burst into the Grampian Terrane, it had multiple stages of volcanic activity. It was the first ancient caldera to be discovered by geologists anywhere in the world. 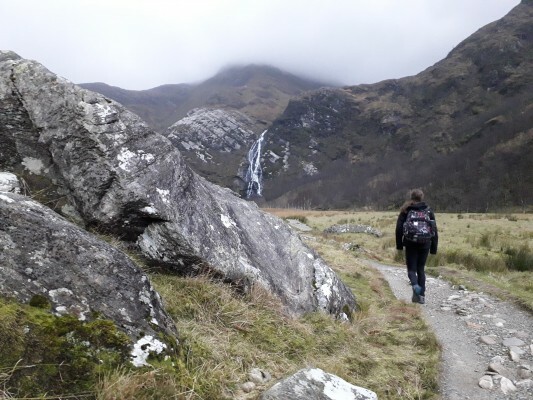 You will be taken onto hillsides and into valleys with exposures of volcanic and metamorphic rocks and view structural geology that provides evidence for how Glen Coe came to be. A deeply eroded collapsed caldera volcano. Standing at 1345m above sea level it is the highest mountain in the UK. 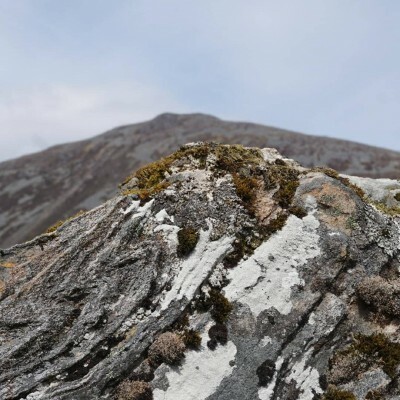 Taking the main path up Ben Nevis you will cross large areas of granite which formed in a great magma chamber beneath the volcano, and pass country rock altered by the heat produced from the volcano, which then formed new mineral assemblages. At the top of the mountain you will stand in the centre of the volcanic caldera, and look down the 600 m North Face, built of lava flows. 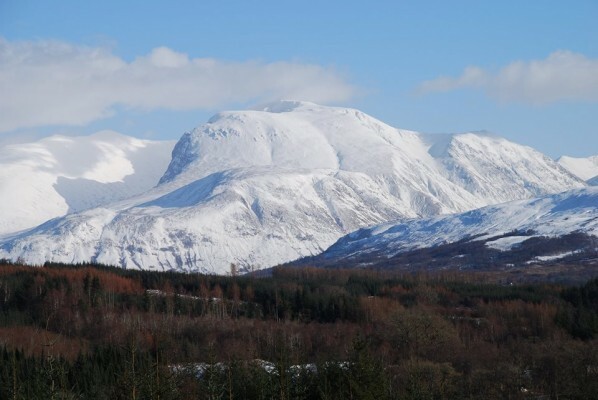 This summit of the mountain is a block-field produced by freeze – thaw action during the last ice age, when Ben Nevis poked through an ice-sheet as a Nunatak, only 12,000 years ago. A longer drive to the western coast of Lochaber, Ardnamurchan is one of the most famous ring volcanoes in the world. When the North Atlantic began to open, 60 million years ago, volcanoes formed on what are now the islands of Mull, Skye and Rum, and the peninsula of Ardnamurchan, the most westerly point of mainland Britain. Beaches and smaller hills with fantastic viewpoints will be enjoyed. The peninsula has an array of cultural stops and history to supplement the geology. Lochaber Geopark Association is a limited company registered in Scotland with company number SC297650. Sign up to our mailing list for the latest news and events from Lochaber Geopark.